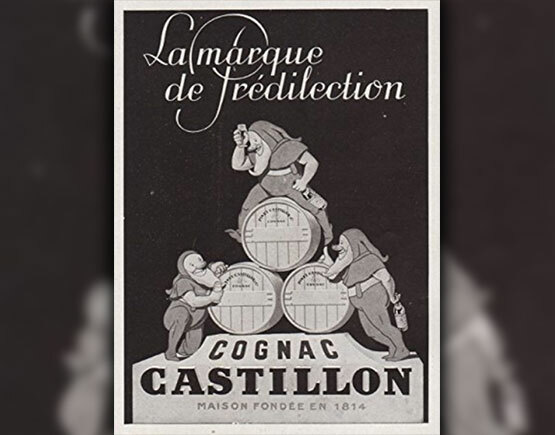 Castillon was once a grand name in the world of cognac. 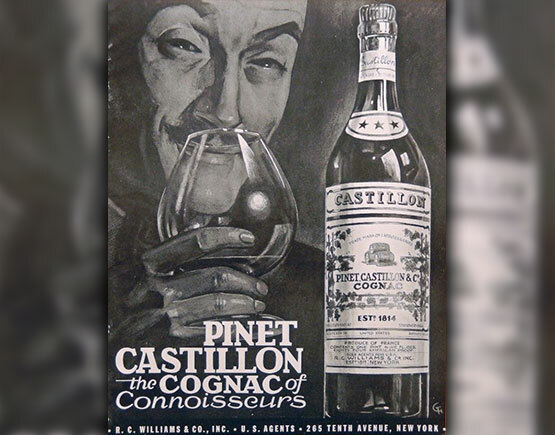 It is perhaps better to call them by their full name ‘Pinet, Castillon & Co’. 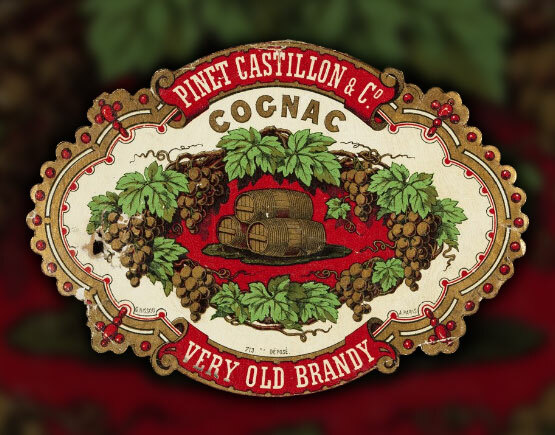 In 1814 Jean Élie Henry Castillon du Perron and Henri Pinet started this company in the city of Cognac. They were merchants, not producers. 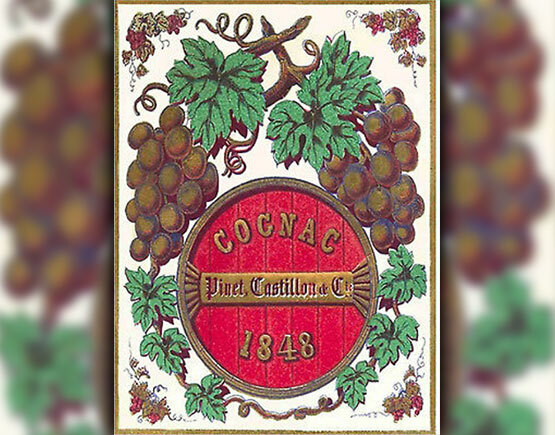 Within a couple of years they had gained a dominating position in the cognac business. They were shipping world-wide and enjoyed a huge popularity. Beside trading they occupied important positions in the public life like maire de Cognac, judge of the Commercial Court and chairman of that same Court. Around 1900 they owned warehouses and distilleries in several adjacent streets in the city of Cognac: Rue de Gâtebourse, Rue du Port and Rue de l’Abattoir (today called Rue des Gabariers). 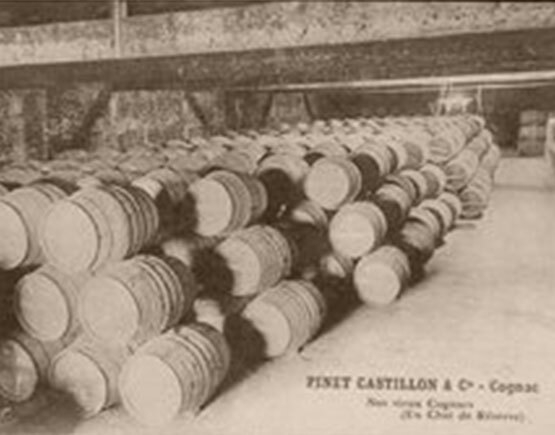 They had stocks of over 1000 casks of cognac in each of four different huge buildings. Financially they were doing very well, as can be seen by the beautiful chateau of mr. Castillon du Perron, le Chateau du Perron in Gensac-la-Pallue, halfway between Cognac and Jarnac. 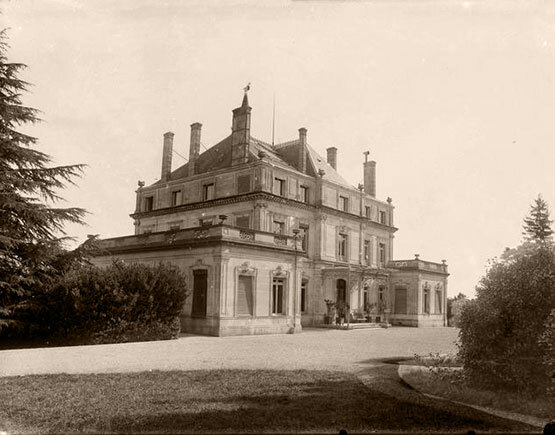 The chateau du Breuil in Bonneuil was also his property, as was the Chateau la Soloire. Of this last building not much information has remained. In 1947 they created a new brand: Three Barrels. This brand was bought by Pellisson in 1975 at the same time as when Pellisson bought Raynal. This brand, Three Barrels, is still produced for the UK, but it is now to be called brandy. The same goes for Raynal, a brandy they make for the rest of the world. Since 2005 the brands are owned by William Grant & Sons. Meanwhile Pinet, Castillon & Co. was bought by Renault in 1963. Together they named themselves Castillon-Renault. Both families were already tied together by several marriages. 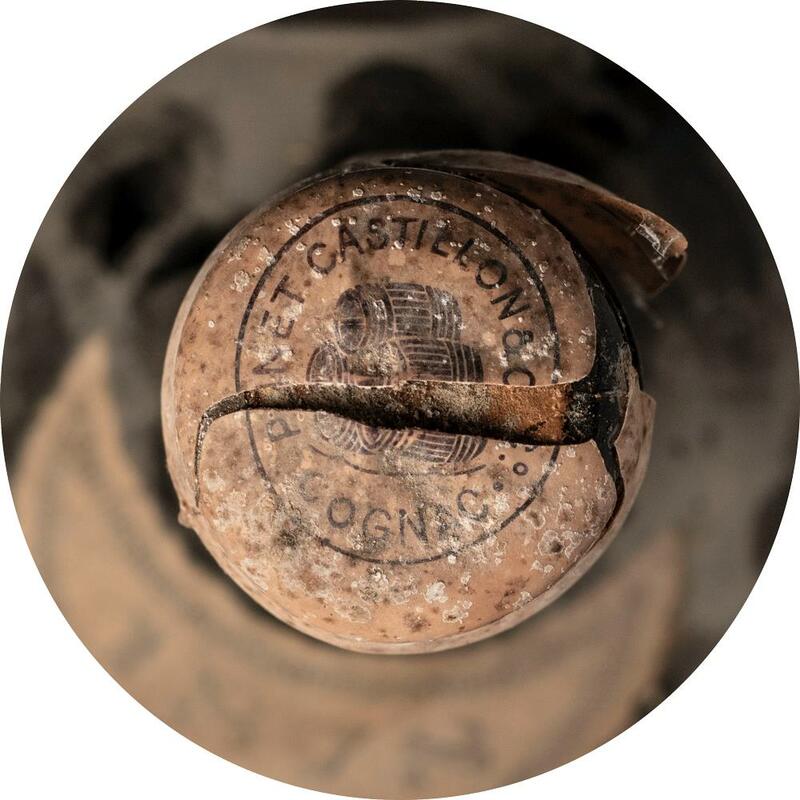 At that time Castillon was more in the wholesale business, selling cognac in casks, while Renault put more emphasis on bottles. Both companies kept their independence though. When Mr. Renault’s health deteriorated Mr. Castillon took over in 1968 for both firms. 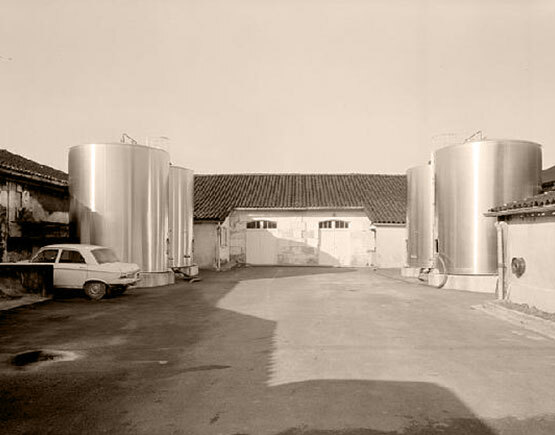 In 1973 Hennessy bought Castillon-Renault, only to resell them to the Dreyfus group in 1975. Again they kept their independency. Castillon-Renault merged with Bisquit-Dubouché in 1991 to be called Renault-Bisquit, but in 2009 the two brands were split-up again. Bisquit being owned by Distell and Renault by the Finnish firm Altia. 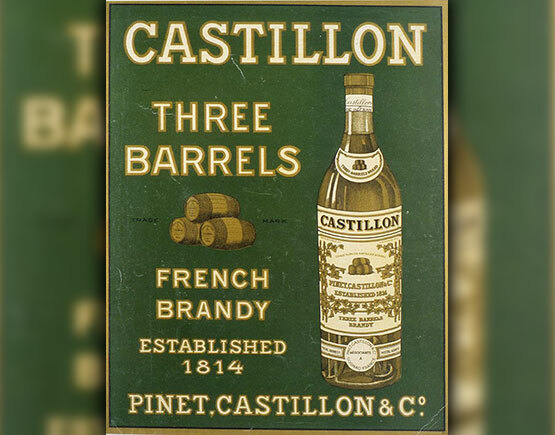 Sadly the brand name Castillon has disappeared during the 1970’s. Very regularly Pinet Castillon bottles are offered for sale, a lot of them vintages. But do not be surprised to find Napoleon, VSOP and three star bottles as well.